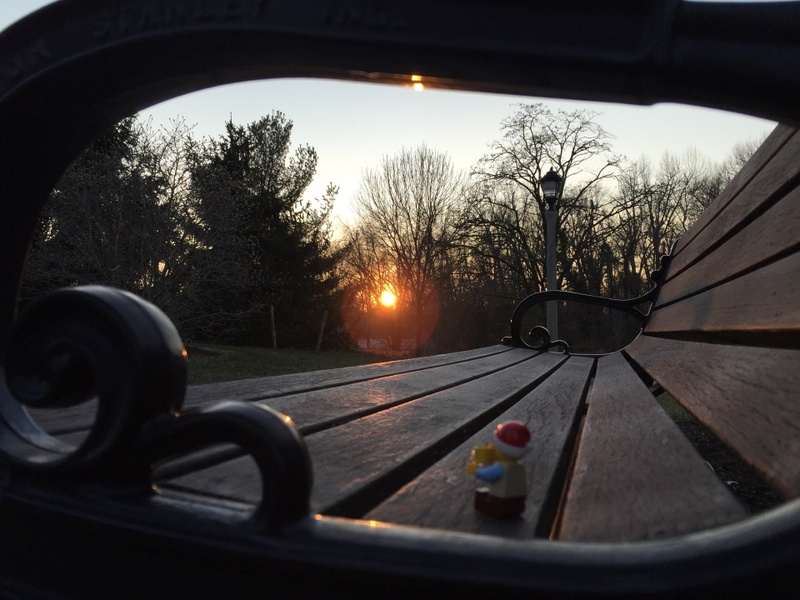 … Lego sits on a cold park bench saying goodbye to 2014. 12 Days Of Christmas – In Lights! Went to see the [url=http://shadybrookfarm.com/holiday-light-show/]Holiday Light Show at Shadybrook Farm[/url] for the first time. The displays are made up of over 3 million lights, including some for the sponsors as you enter this drive through experience. I had a better picture of the crib, but it does not capture the depth as the starting display telling the story of the 12 days of Christmas. What you see above are the French (Eiffel) hens, golden rings, and swans-a-swimming on the left, and calling birds, and geese a laying on the right. 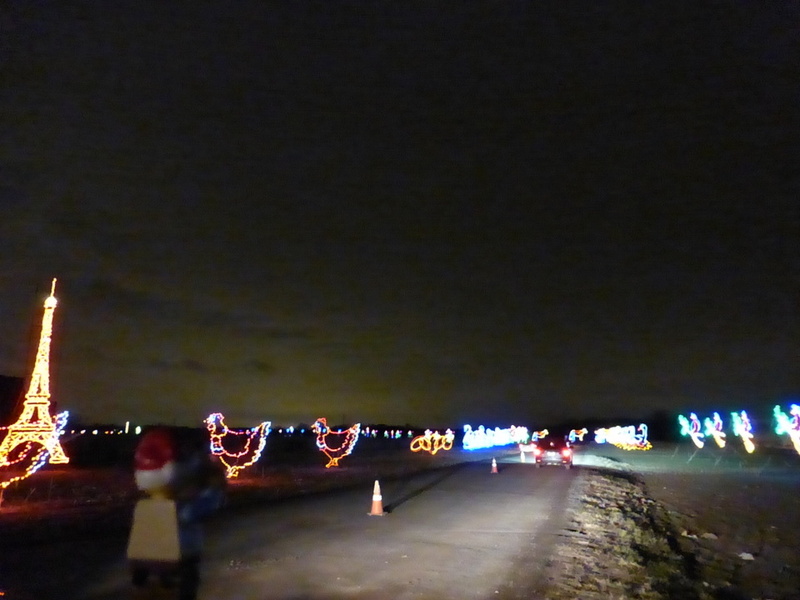 With three families split in two mini-vans, the kids had a blast singing to the lights! 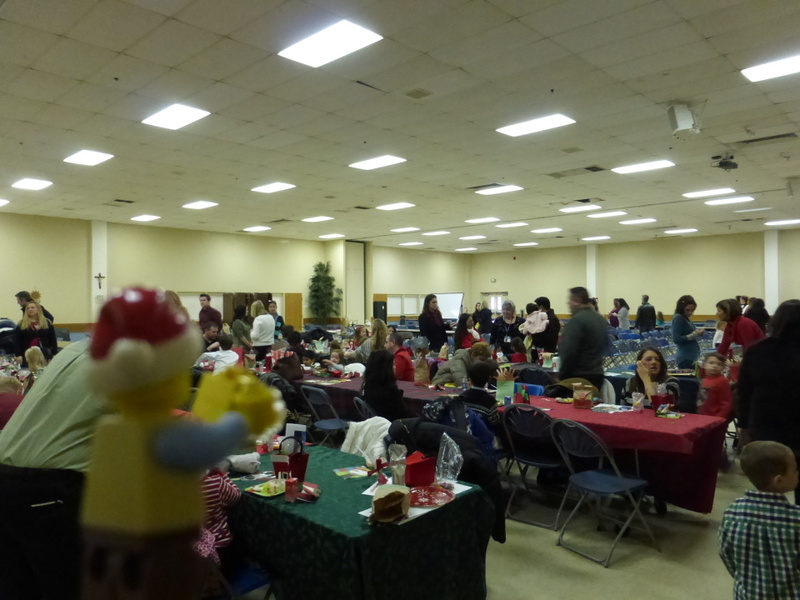 … set out for our last get-together with friends this year. 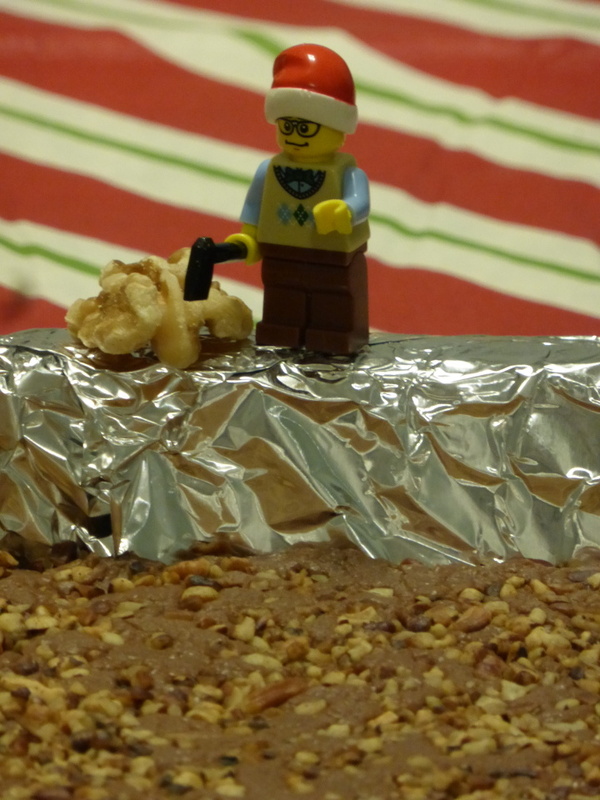 We did not make as much as we would have liked to, but quite a bit considering the time we had with working almost all the way up to Christmas. 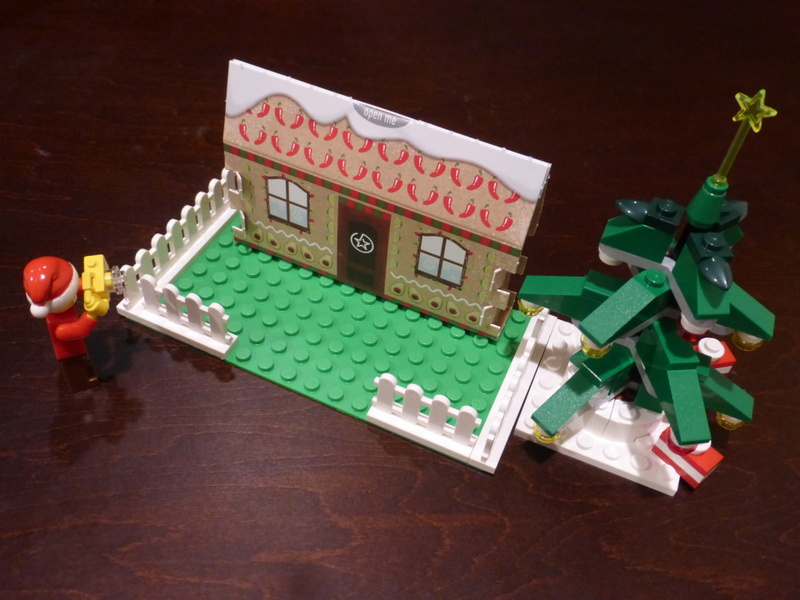 Apparently Santa is still busy after Christmas! 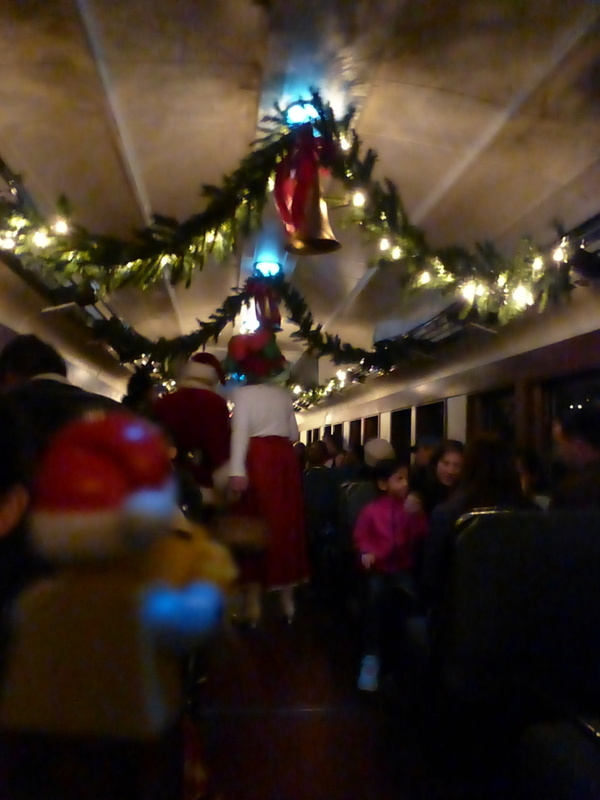 We rode the [url=https://www.newhoperailroad.com/upcoming-events.cfm#8]North Pole Express[/url] with a visit from Santa, Mrs. Claus, banjo playing & singing elves and a cup of hot chocolate and a cookie. 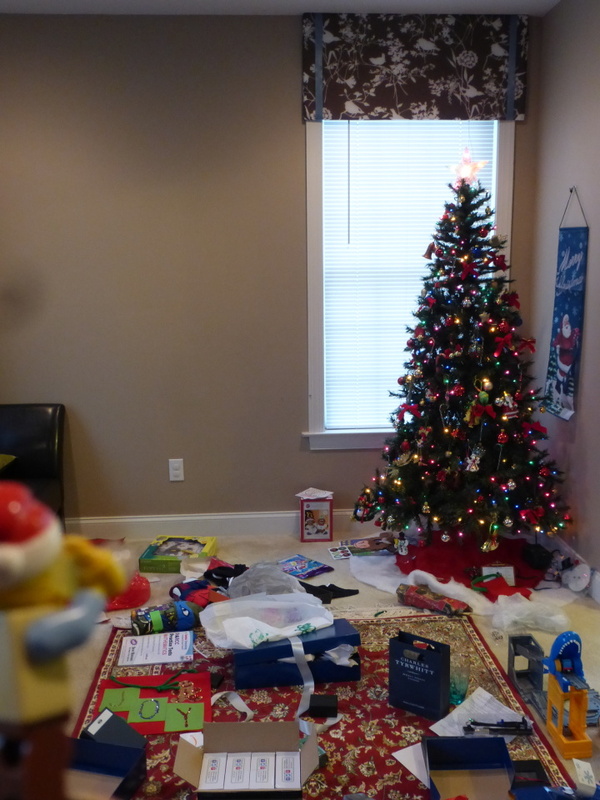 The kids were happy to meet Santa and thank him for the gifts he got them. He gave them each a bell (Polar Express) as well! This is apparently a beautiful train ride through the countryside, but given that it was dark outside, we only got to see Christmas lights! 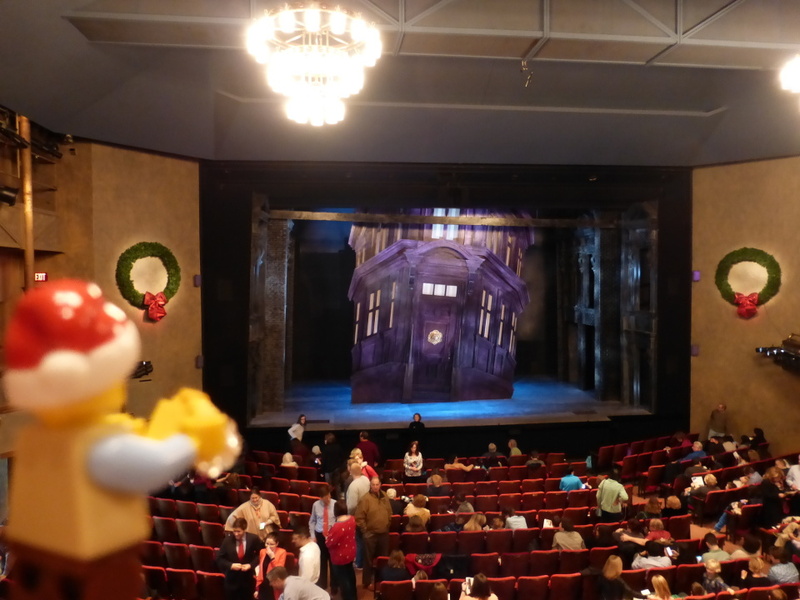 The family went to see [url=http://www.mccarter.org/achristmascarol2014/]A Christmas Carol[/url] at Princeton’s [url=http://www.mccarter.org]McCarter Theatre Center[/url] today… since there was no photography during the play, Lego Guy waited during the intermission for this blip. 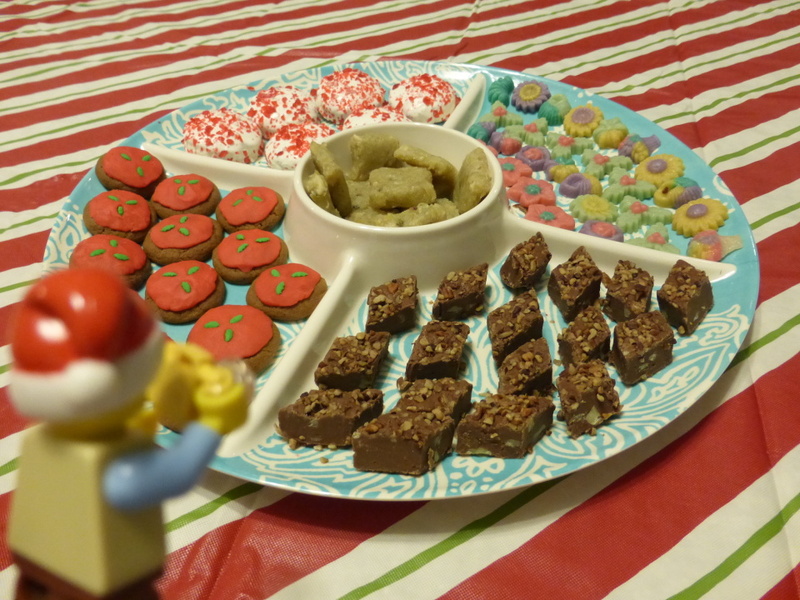 Santa’s got a sack full of gifts – these will all be for Lego Guy, considering he did not receive anything under the tree yesterday since his Santa was delayed!